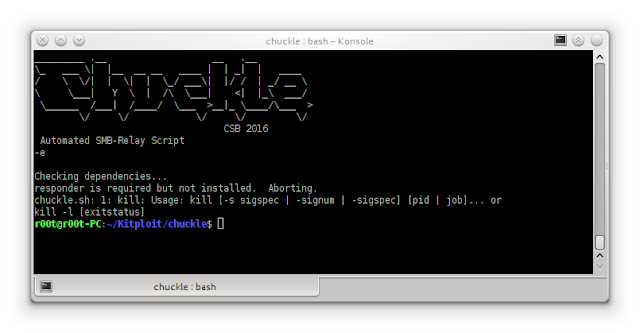 Chuckle is an automated SMB Relay Script. Wait a while or coax a prvileged user into authenticating against you and you should end up with a shell on your target machine. Be careful when running this and never run on a network you are not permitted to do so.